CHINA bookstore chain Fang Suo Commune clinched the Bookstore of the Year Award at the London Book Fair International Excellence Awards, the fair announced in March. 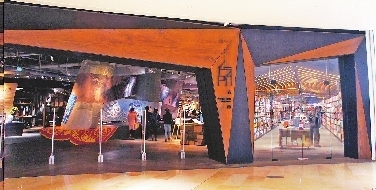 It beat BOA Bookstore of Vietnam and Unity Books Wellington of New Zealand, both on the shortlist to win. Located at Taikoo Hui, a high-end shopping mall in Guangzhou, Fang Suo Commune is an innovative bookstore nestled among luxury shops. Opened in 2011, Fang Suo Commune Guangzhou has bookshelves covering its walls from floor to ceiling. The 1,800-square-meter store boasts a coffee bar, a boutique and a handicrafts shop, and welcomes more than 2 million visitors through her doors every year. Fang Suo Commune Bookstore regularly hosts art exhibitions, lectures and book launches.